Not every country is dominated by “the world’s largest marketplace” eBay. In Southeast Asia and Thailand the most popular online shopping site and modern seller/buyer portal in 2018, is Lazada, the best eBay Thailand alternative. Continue for some further reading..! While the global market leader eBay is booming with Thai sellers on eBay.com and it’s other global websites; the company has not penetrated the shopping market for buyers in Thailand. Leaving consumers looking for eBay alternatives elsewhere. With big purchasing power, the country’s thriving e-commerce market has seen plenty of competition for the number one spot. The company to currently stand out as the most modern, fully featured and easy to use shopping platform is Lazada Group; with large operations throughout Southeast Asia. They also boast with a popular seller market — where both small business and individual sellers can connect with Thai buyers with a system similar to eBay. Lazada also offers full service in English, reliable door-to-door delivery and a mobile-ready shopping experience serving the large foreign population in the country, and the e-commerce standards they are used to back at home. While the international consumer crowd is accustomed to using eBay for a wide range of global e-commerce options, so far only Lazada is known to match it’s services as the most modern alternative available; especially with their fully featured seller portal for so called “business-to-consumer” and “consumer-to-consumer” sales. The future for Lazada seems bright with more than 12 million online shoppers in Thailand according to a 2017 statistic from Statista. This figure is expected to see increased growth and reach up to 14 million by the year 2022. Totaling an 15% increase forecast for the following five years. Also Thailand has a thriving market for smartphone users with big potential for mobile-ready online shoppers. One of the biggest mobile firms in the country, Total Access Communication Pcl. has estimated that in Thailand mobile users spend up to 6 hours on social media websites per day. The majority of online shoppers are aged 16-34 years; a key target generation where we are likely to see a steady and positive shift in mobile shopping habits. However still many consumers still prefer to complete their online purchases through desktop computers. Not forgetting that Thailand is officially the second biggest economic power in Southeast Asia; it’s one of the key markets for Lazada. It remains to be seen if eBay has plans for it’s future in the country, but it is sure that competition is ready with constant development to increase online shopping demands of Thai consumers. 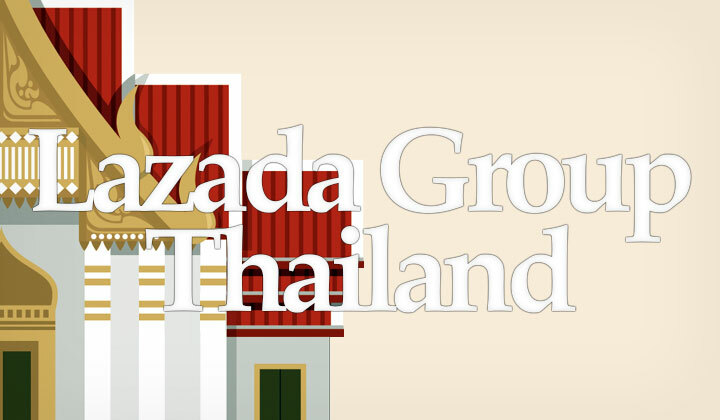 Click here to find out more about Lazada Thailand! What do you think is the best eBay alternative in Thailand — or tell us what is your experience with lazada.co.th services? Please, leave a message in the comments section below! Kindly note: The posts and pages of Kachi contain affiliate links which may result to financial benefit to the owner of the blog. Thank you for your support in advance and I assure that this has not altered my opinions presented and will not affected your experience with such affiliated third-party websites. Big thank you for reading and supporting my blog! Next Can’t Login/Sign in to Amazon: How to Fix Internal Error!